Possibly the most versatile form of retail, pop-up stores are on trend. Retailers have gone from taking up space in quirky empty units or a small counter within a shopping mall, to festivals and events, in order to improve engagement with consumers. One thing for certain, in the current retail landscape and with the power of technology, pop-ups are an opportunity for retailers of all sizes to embrace an efficient omnichannel strategy. Letting you tap into and extend new opportunities for brand interaction, new customer acquisition, social media engagement and revenue from physical and digital product sales. The technology retailers need to make a pop-up shop successful versus the technology they have is often far from ideal. Retail management systems that don’t provide complete control over stock, don’t give you the ability to trade offline and make you create manual reports from being offsite already put retailers at a disadvantage. Why integrate pop-up shops to your EPoS? Understandably, smaller retailers who don’t have a shop or just have an ecommerce site may opt to make use of mobile payment companies who are tailored specifically to small business needs. They serve a purpose in the market and are great, for a short time. However, what happens if you have several pop-ups to manage, one becomes permanent, or you begin to need a system with integrated CRM and stock control? Easy. Cloud EPoS that has an integrated mobile POS functionality. Innovations in cloud technology has pushed pop-ups forward rapidly and retailers are seizing the opportunity to provide the in-store experience offsite, giving consumers that tangible brand experience and buy-in which is vital to the customer journey. Stock control: We’ve said it before, but its crucial that retailers have complete control over stock no matter where in the world they are selling. Cloud EPoS lets you look at real-time stock lists, so you know exactly how many items you have in stock to sell, perfect for using mPOS at events as an extended digital aisle, removing the possibility of overselling. Trade offline: If a retailer is offsite, chances are the Wi-Fi or 3-4-5G connectivity may be hit and miss, if you have access at all. Integrated cloud mPOS gives retailers the bonus being able to insert a 3G or 4G data dongle to access the internet and trade; plus, if that doesn’t work then you can still take cash and card payments while the till is offline, so you don’t miss a sale! Real-time reporting: Selling offsite means you need to generate reports highlighting what’s been sold, how much stock you have, how much you’ve made and more. With cloud mPOS this is all real-time, live data, meaning you don’t have to wait until the end of the day for sales to poll. Festivals and events are a key area where pop-ups have flourished in recent years, with the market becoming refined and targeted to audiences, from music, to pets, and experiences both culturally and spiritually. The festival goer seeks out the ones that speak to them, their lifestyles and their needs, and organisers are seeing the mutual benefits of inviting brands, helping boost key messages and make the most of the few short days they have with their captive audience. Pop-ups at festivals using cloud mPOS give consumers the flexibility and choice to order a product through a website or via the tablet on site, have items delivered to their home address or take it with them on the day. It also lets new customers discover a new brand or products that they may not have heard of before. Are you finding that you’re unsure about the stock you need at events? Do you need to manually input revenue and customer data collected at events? One thing to note is that collecting data this way potentially breaches GDPR! 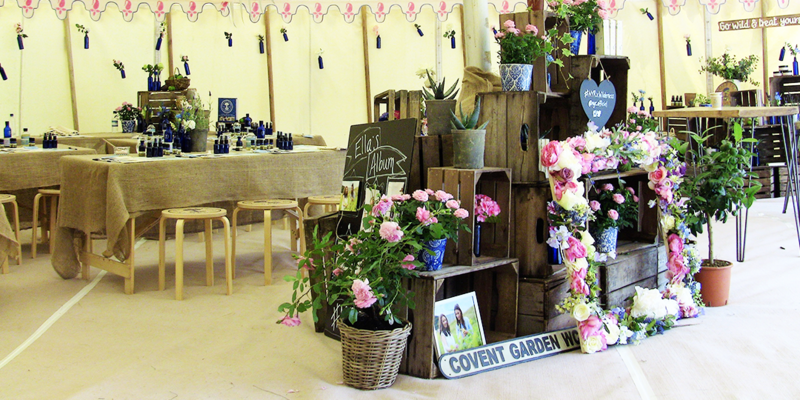 Are you struggling to offer a wider choice of products at events due to space restrictions? Is loss of sales caused by inflexible payment options and connectivity issues a huge problem? Do you find that you tend to sell out of one product more than others and unable to fulfil orders? If you have answered yes to any of the above then you’re a retailer who needs to challenge your technological boundaries and review current retail management systems to see if they can support your omnichannel strategy and importantly, mobile POS solution. Make the most of pop-up shops and start integrating your EPoS and mobile POS technology before its too late. Download the RetailStore platform brochure.